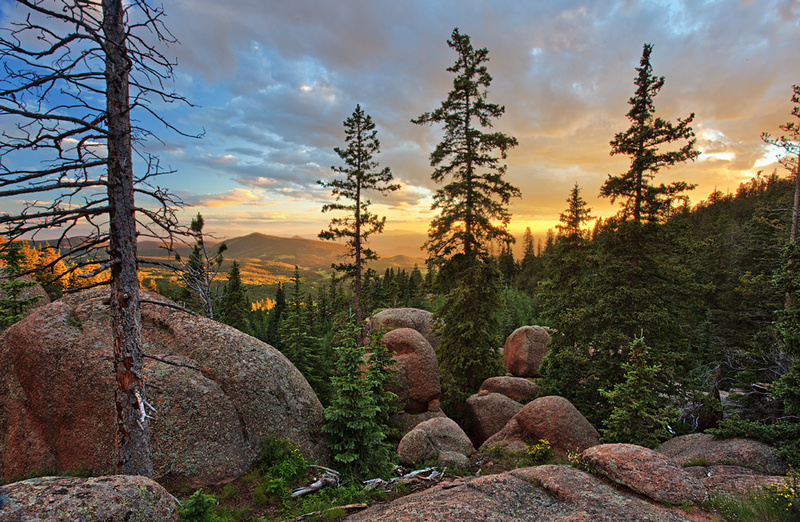 On the side of Pikes Peak, a trail winds through dense forest and out onto rocky tundra. Returning on the trail one evening, I came across this intense scene in the woods. Photo © copyright by Stan Rose.